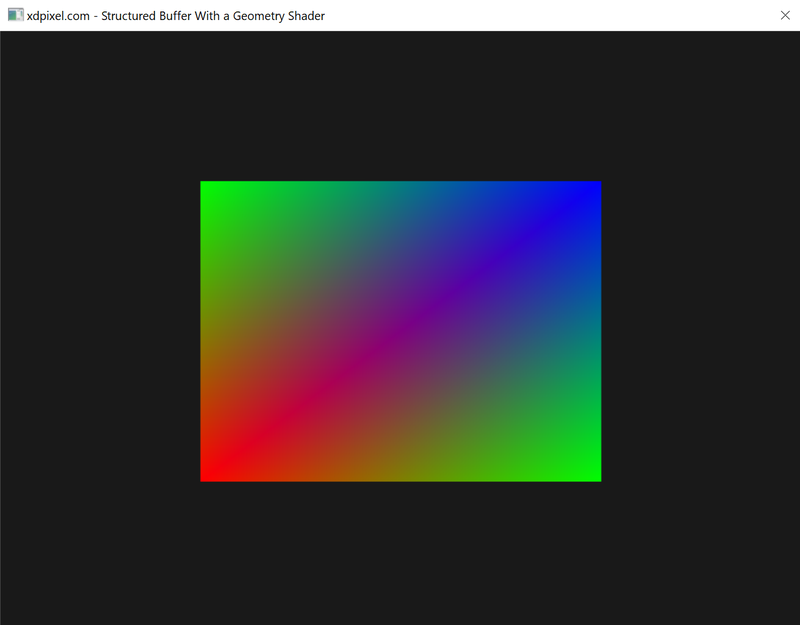 This sample demonstrates how to use both a geometry shader and a structured buffer. In this example, a single point will be uploaded from the CPU to the GPU. The GPU will expand that single point into a quad composed of two triangles and procedurally assign colors to each new vertex. cdes.ByteWidth = 192; // 64 bytes per matrix because 4 bytes per float and there are 16 floats in a 4x4 matrix.